1DOWN Motorcycle Club was built on PRIDE & RESPECT. We take Pride in what we do, and we Respect each other. 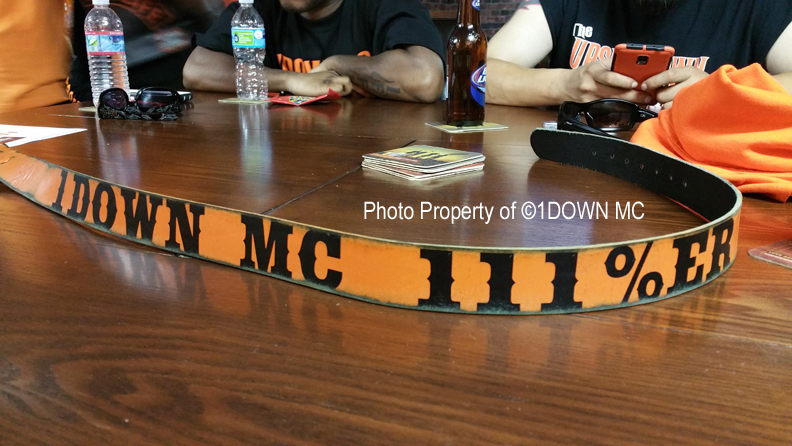 Our pride is shown in how we respect the code on 1DOWN MC. 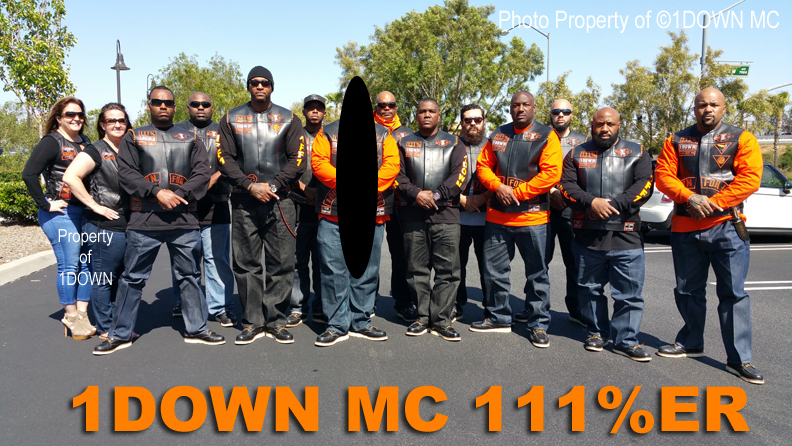 Our pride is shown in how we give 111% to the movement of 1DOWN MC. We keep to ourselves and we don’t shake the tree. We stay in our lane and to be honest let’s just say we’ve created our own lane. We make it a point to keep ourselves in a good place with those that matter. We have no “chip on our shoulders”, we’re a Positive Club, we speak, we look you in the eye and we’ll shake your hand and say hello. We pay respect forward to those that know how to return the same respect. We don’t intrude on unwelcomed territories, areas. or body language. 1DOWN MC represents Peace, Happiness, & Fun times. We favor the Harley-Davidson Dyna as our Official Club Motorcycle. Club President Goldie has made a reputation for himself as “The Dyna King” and if you know anything about the baddest Dynas in Southern California then you’ve heard of Goldie. Not to mention he’s holds the record for having the most Dynas (he personally owns) featured on hit TV show Sons of Anarchy. 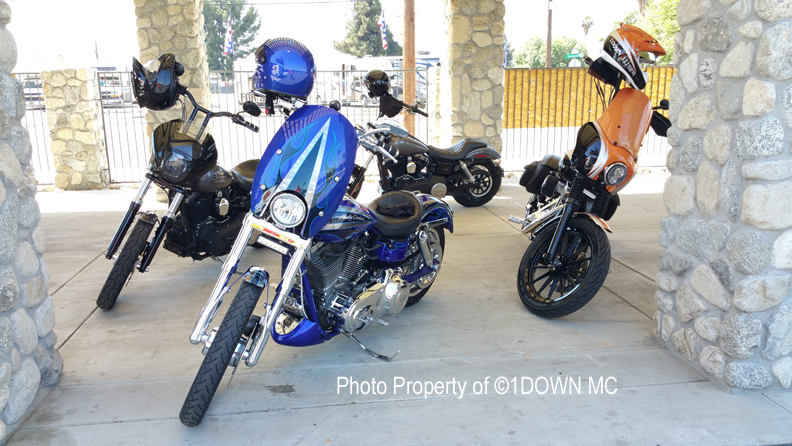 1DOWN MC is a positive working motorcycle club that provides a service to the Motorcycle Community. 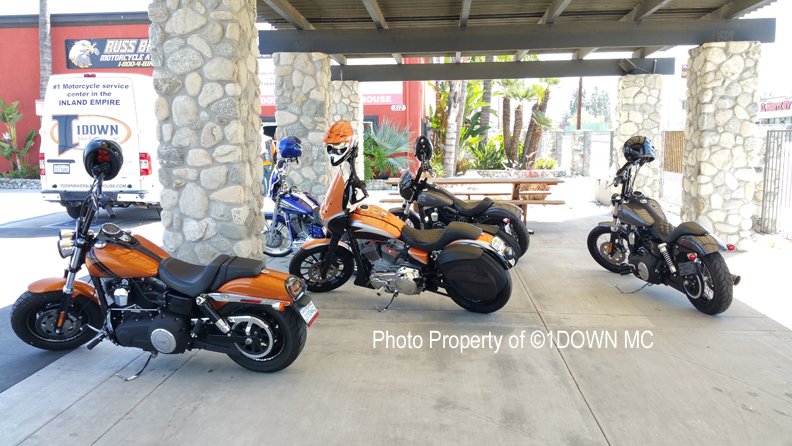 In the beautiful city of R1VERS1DE, CA the 1DOWN Biker Supply House offers a full service repair center. We specialize in Harley Davidson motorcycles. We have Larry Hardy one of California’s best mechanics that specialize in building big bore race motors and we do everything In-House! We can handle absolutely everything and in most cases we offer same day service. We can handle your motorcycle insurance claim. Get your bike towed to us and we will get you all squared away. We service Harley-Davidson motorcycles & V-Twins. Open Tuesday-Saturday 9am-6pm. Voted BEST Motorcycle repair center in San Bernardino! Wishing You All Much L&R!! Thank you for being a Positive Influence in our Community!! Thank you very much Robyn. My club appreciates you reaching out. Respect to all, enjoy the site. are civilians welcome at the Sunday Fun days? Much respect and love. Going to ask my cousin inlaw payback his thoughts to..